The organizers of the Venice Biennale named Irish architects Yvonne Farrell and Shelley McNamara, co-founders of Grafton Architects, as curators of the International Architecture Exhibition in 2018, reports the Architectural Record. The announcement comes on the heels of yet another victory for the small, Dublin-based firm. In late November, Grafton Architects received RIBA’s first-ever International Prize for its monumental, Brutalist-inspired “vertical campus” for the Universidad de Ingenieria y Tecnologia (UTEC) in Lima, Peru. Recent accolades aside, Farrell and McNamara have been practicing for nearly four decades. Since establishing their firm in 1978, the pair has designed numerous institutional projects in their native Ireland as well as abroad in countries including Italy and France. The architects are no stranger to the Biennale, either. In 2012, the firm won the prestigious Silver Lion award for their exhibition “Common Ground,” a collaboration with Paulo Mendes de Rocha. At last year’s exhibition, they created a video installation documenting the life—inside and out—of their UTEC building. “The curators, who are well-known for the refinement of their work, are also known for their intense didactic activity and their ability to involve and fascinate new generations,” said Biennale president Paolo Baratta. Chilean architect Alejandro Aravena curated the 2016 Biennale, with the theme “Reporting from the Front,” which sought to address urgent global issues. Past curators have included Rem Koolhaas, David Chipperfield, and Kazuyo Sejima. 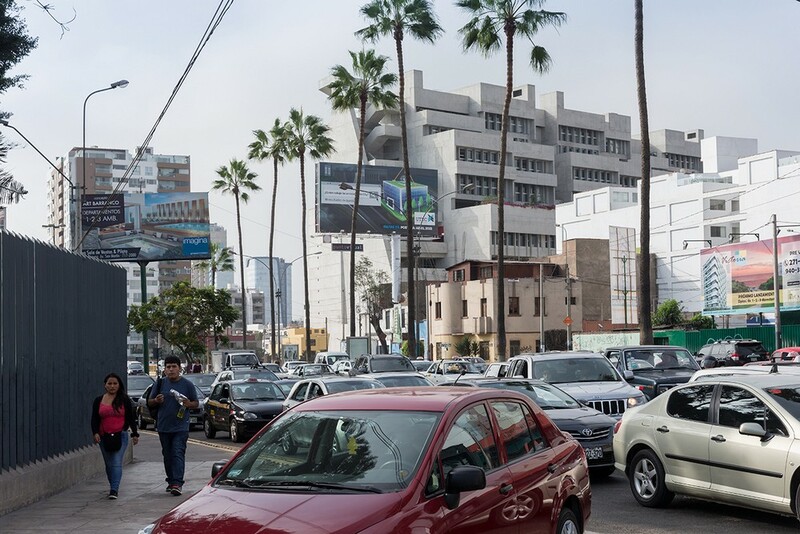 According to Baratta, Farrell and McNamara are expected to expand upon the ideas explored in Aravena’s exhibition, but from the perspective of space—public and private—as well as landscape. 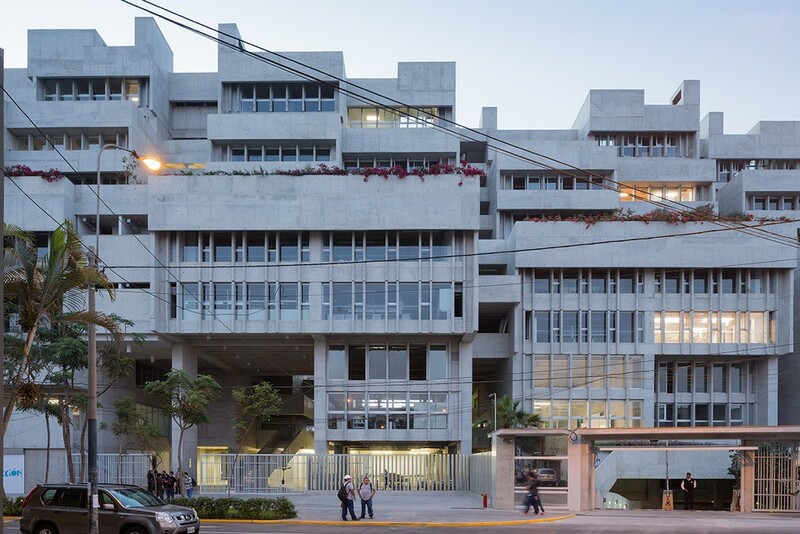 The University of Engineering Campus (UTEC) in Lima, Peru, has won the RIBA International Prize. 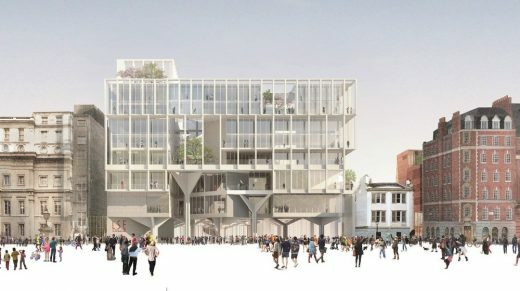 This Dublin-based architecture practice have been selected as the winners of the competition to design 44 Lincoln’s Inn fields/the Paul Marshall Building, the next major building project of the London School of Economics and Political Science (LSE). A Piece of City: the idea was to make two worlds, one hovering over the other, with the space of the city flowing between. The design studio took the public space of the through the building bringing with it the stone floor of Milan. This opens the university to the life of the city. The building feels like a city in miniature. Yvonne Farrell and Shelley McNamara graduated from the School of Architecture in UCD in 1974, where they began teaching in 1976. Both lecture and teach internationally. They are co-founders of Grafton Architects established in 1978 and founder members of Group ‘91 Architects, winners of the International Competition for the Regeneration of Temple Bar, Dublin. Co-Directors Gerard Carty and Philippe O’Sullivan joined this Dublin architecture studio in 1993 and 1992 respectively. Simona Castelli was been project architect for the Bocconi Project since 2002. Grafton Architects won World Building of the Year, Award 2008 and have won numerous Awards, including the AAI Downes medal. The work of the architects practice is exhibited widely including: RIAI in 1999; Milan Urban Centre 2002; Mies van der Rohe Award Exhibition 2003; Bergamo and Rome 2006; Dessa Gallery, Ljubljana 2006; Lisbon Triennale 2007; Venice Biennale 2002 & 2008. Publications include: Architecture Profile 3 [Gandon Editions, 1999], Rivista Tecnica; Domus; AREA; Architecture Ireland; Baumeister; Casabella; Materia; Werk Bauen + Wohnen; Le Visiteur. January 19, 2017 in Architects.